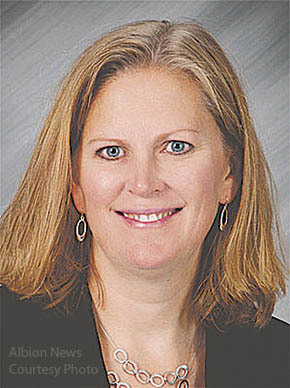 Lisa Schumacher, principal at St. Michael’s School in Albion for the past seven years, has been named one of two 2015 Administrators of the Year by the Archdiocese of Omaha. Mrs. Schumacher joined the St. Michael’s staff in 1992 as fifth through eighth grade math and science teacher. She began her administrative duties there in 2008 on a provisional administration certificate, and earned a master’s degree in educational administration from Wayne State College in 2010. Details in the Sept. 2 Albion News and Petersburg Press Print & E-Editions.